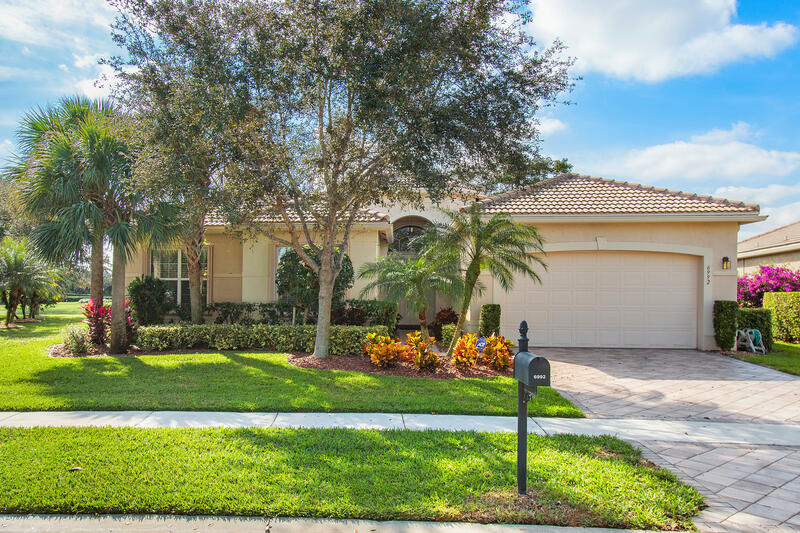 Lake View - Completed in 2011, This extraordinary Madrid IV model has 3 bedroom, 2.5 bath plus a Den and features approximately $140,000 in builder and after market upgrades, not including the lake lot premium ($37,000). Upgrades include a full house generator, a Picture Frame screened patio enclosure (35 x 21), a 2-foot garage extension, accordion storm shutters and so much more. Measurements are estimated and are not guaranteed. HOA Fee includes lawn care, alarm monitoring, phone, cable and internet. Valencia Pointe will be renovating their clubhouse in 2019. Go to www.Valencia-Pointe.com or see virtual tour to view renderings of clubhouse. Please call for full list of upgrades or information on clubhouse renovations.